MATRIFIK x ON FYRE - "Trifon"
Trifon, the Arabian stallion visits school with the Arabian Horse Reading Literacy Project. 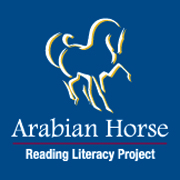 The mission is in “motivating ‘kids’ to want to read and discover the joys of reading and learning through the magic of contact with live horses and quality books”. 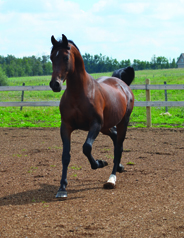 Horses have the ability to help people relax their defenses and the walls they build up around themselves. This opens up the relationship between oneself and others. Horses are a wonderful bridge to self-esteem and emotional strength, establishing bonds that overcome fear and aggression. These bonds tend to inspire productive behaviour, caring attitudes and a philosophical orientation to life. Visiting with and learning about horses creates excitement and adventure as the children explore and enjoy contact with the animals through a series of safe, carefully planned activities. Each stimulating activity centre concludes with the children reading to a horse. The horses provide a friendly and non-judgmental audience for young readers. Through the support of the community, every child can enjoy the opportunity to read to the horses and experience the excitement and joy of spending time with these amazing teachers … you’d think the horses are listening to every word! name/grade/school, and e-mail; along with your question.